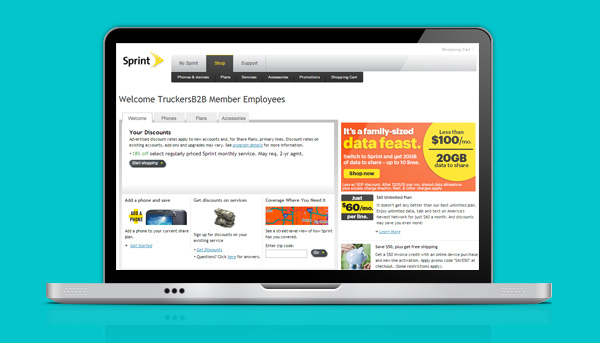 TruckersB2B Members take advantage of additional savings on the “Best Value in Wireless” saving $5 0ff first line of our Unlimited plans plus an additional $5 off per line with Autopay. 25% off Select accessories (CL & IL Plans). Business customers receive exclusive discounts on workplace solutions and professional sales support. To start saving, follow the steps below based on whether you have a Business Account or Personal Account. In order to be considered for eligibility to receive the Corporate Liable discounts available to you though your TruckersB2B membership, you must complete the online enrollment agreement. Sprint is more than just wireless. 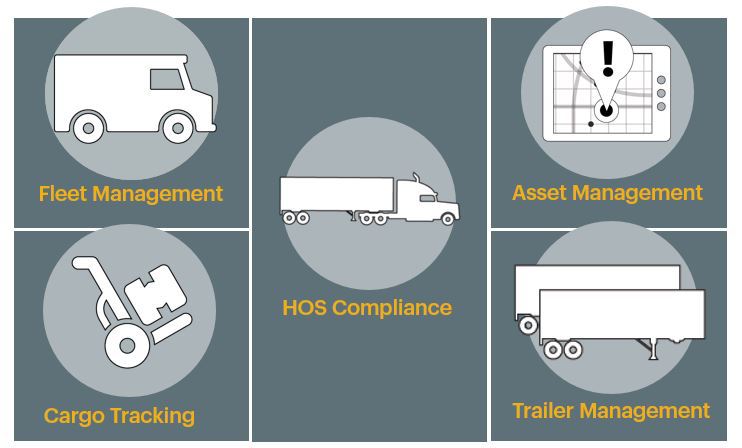 Their Connected Fleet Solutions have just what you need to help your business reduce costs and increase efficiency. Get a $50 credit for new activations and free shipping! Set up your new lines of Sprint service 1 of 3 ways! To get the discount, you must be employed by a company who is a TruckersB2B member. If you do not have a company provided email address (@yourcompanydomain.com), you must complete the employment verification form or visit www.sprint.com/verify on your smartphone and follow the instructions. Be sure to include proof of employment. (Under "Employer, organization or university name" this is YOUR company name. Personal accounts (credit run on SSN) are tied to a 2-year service term and are not eligible for the business account offers. You will be required to verify your employment with a TruckersB2B member company, either through a company provided email address or another form of verification. You will receive a communication from Sprint requesting authorization to add the 2 year term. This will not affect upgrade eligibility. Please allow up to 2 billing cycles for your discount to apply.